CikLilyPutih The Lifestyle Blogger: Take your best shot at fame - Audition online at bit.ly/2m2fame! Take your best shot at fame - Audition online at bit.ly/2m2fame! mFace is scouring the country in search of the next BIG THING. Tens of thousands of Malaysian hopefuls from across the nation are dreaming of stardom. You can sing, dance, juggle, or joke, it doesn't matter! 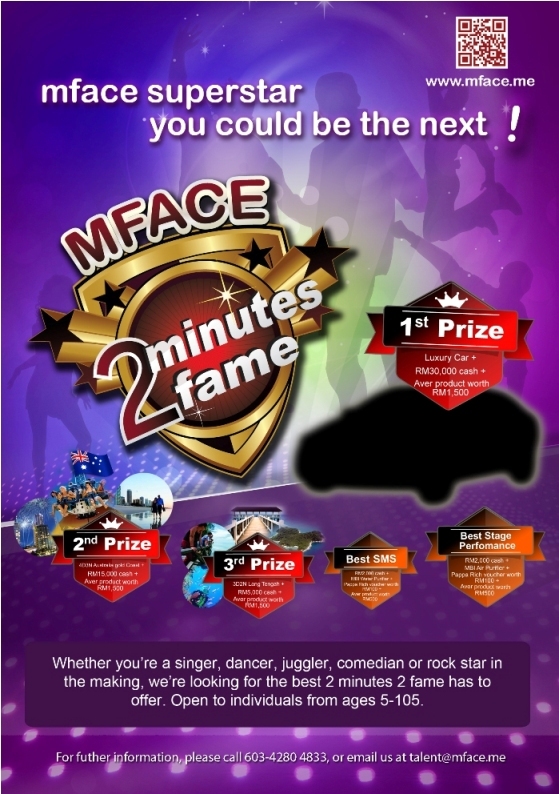 All it takes is #2mins2fame, thanks to mFace. 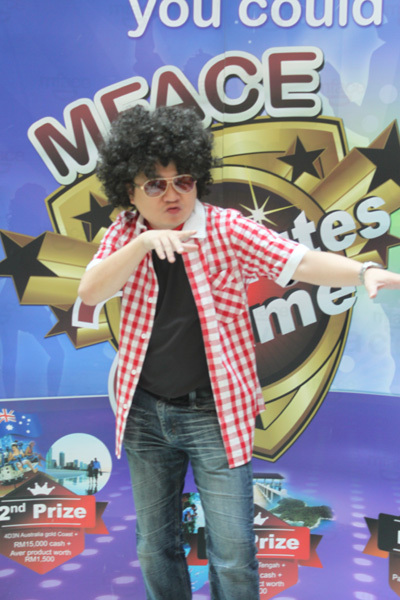 mFace is also looking for talent who may not think of auditioning. 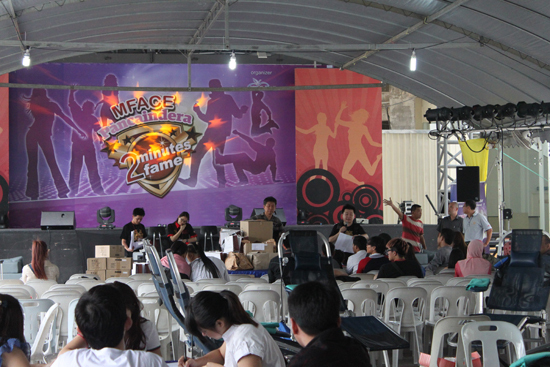 Recommend the mFace #2mins2fame Talent Show to family and friends or anyone who thinks they could be the next BIG THING. Newspaper, text message and online voting begins selected Saturdays immediately after each talent submission is made online, and 5 top-voted contestants would be picked each week. The TOP 20 contestants will appear on a live stage Final Round performance each month. 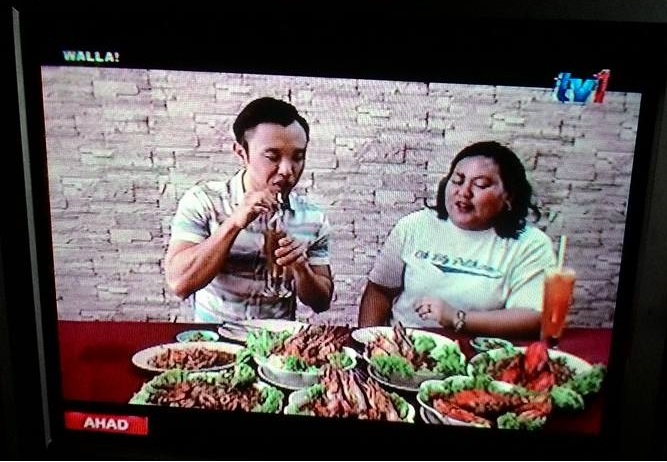 >" to 36188 for RM0.50 only. To vote online go to bit.ly/2m2fame and follow the instructions for how to vote online. 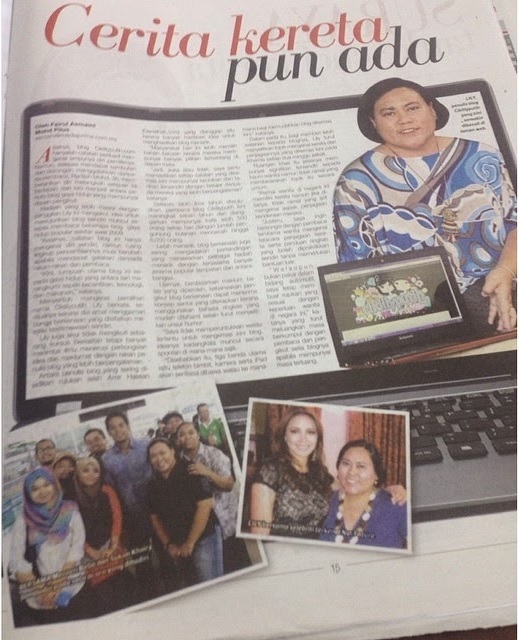 Buy Pancaindera (of Utusan Malaysia) and follow the instructions for how to vote via post. Auditions are open 24 hours, 7 days a week. Please check www.mFace.me for dates, rules, terms and conditions. Contest ends on December 28th, 2012.
waaahhhh... MFace ni bawah usahasama Dato AC Mizal kan?